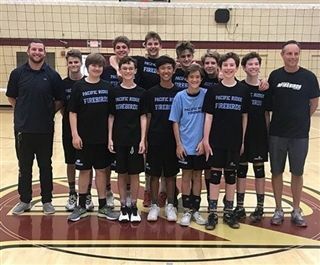 The boys middle school volleyball team won the 2018 SCMSL League Championship on May 15, beating Santa Fe Christian in 2 straight sets 25 -11 and 25 - 22. The victory was a complete team effort with big plays by all players. Pacific Ridge was also the 2017 SCMSL Champion. Go Firebirds!